Auto Transport Logistics prides itself on adhering to its mission statement that states: "Our primary goal is to provide excellent auto transport services to our wide range of customer base. We take pride in being responsive and attentive to our customers' needs while providing cost effective car transport solutions. Auto Transport Logistics LLC is a full service auto transport company that strives to provide value to its customers through high quality customer service, reliable network of auto transporters, and competitive cost." They certainly stand by their mission. They are licensed by the United States Department of Transportation and adhere to the Federal Motor Carrier Safety Administration (FMCSA) requirements. There is a growing market of Internet auto sales, and Auto Transport Logistics handle "the logistics" for the dealerships and individuals who sell cars online. Buyers need a fast and reliable car transport service so that they can drive their new car as quickly as possible, and Auto Transport Logistics gets them behind the wheel quickly. Their experience as auto transport brokers, auto transporters, and dispatchers allows them to maintain quality relationships with their customers and auto shippers. Many satisfied customers find themselves returning to Auto Transport Logistics to handle their specific needs. Door-to-door pickup and delivery service. Your vehicle will be picked up and delivered at the closest point possible to the physical addresses provided. Fast Car Shipping - they get your vehicle on the road to its final destination in less than a week over ninety percent of the time! Car Transport Notification - you will be notified via email and called directly the minute your car is assigned to a carrier. Keeps you up to date. Open Car Transport - safe and more economical. 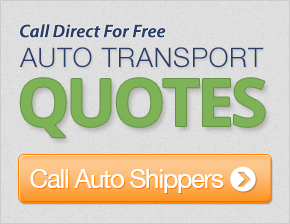 Enclosed Vehicle Shipping - nationwide carriers available. Shipping Insurance - insured (deductible free) by the carrier company for up to $1,000,000 to ensure protection of the vehicles on the carrier. Broker to over 9,000 pre-approved independent truck carriers, all licensed and insured. My experience with this company was great. I will use the same company and the same contact person if I need to move my car again. Thank you! Great sales agent. He was very polite, a great communicator, and very attentive. Excellent service! The fast transport drivers made great time and called at 8 o'clock Wednesday morning. I met them, and they followed me the two miles to my house and they made a smooth drop-off. Thanks! My car did take a little while to be picked up. However, when the car was picked up, all went smoothly. My car was delivered when it was supposed to be, and in good condition. The customer service crew was good when I talked to them. Thanks again! The driver was punctual and very friendly. Assuming the car is delivered on schedule and with no issues, this was a very positive experience. Thank you! Everything was great. Thanks for being so fast. Kind of surprised me, actually. Price was a bit higher, but my coverstation with the phone rep made me more confortable that I was dealing with a quality organization. The extra few dollars were not significant. Your driver was very helpful. He was in contact with me, updating the status of his location and when I would receive the car. He was great. Thank you. Everything went great. I will use the service again. Thank you!